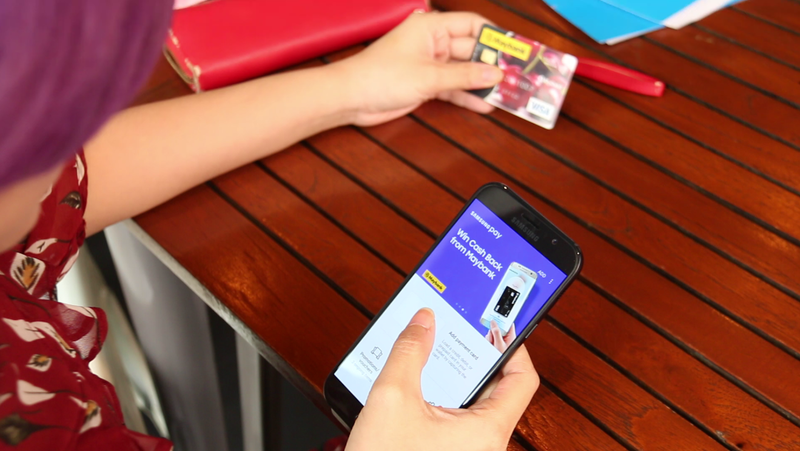 There has been a decided shift by the banks in Malaysia towards a cashless society through our contactless bank cards, and Samsung is taking the move one step further by removing the need to carry those cards around altogether. Now, Samsung is making it easier for us to pay just by tapping mobile phones on cashier terminals during shopping trips. 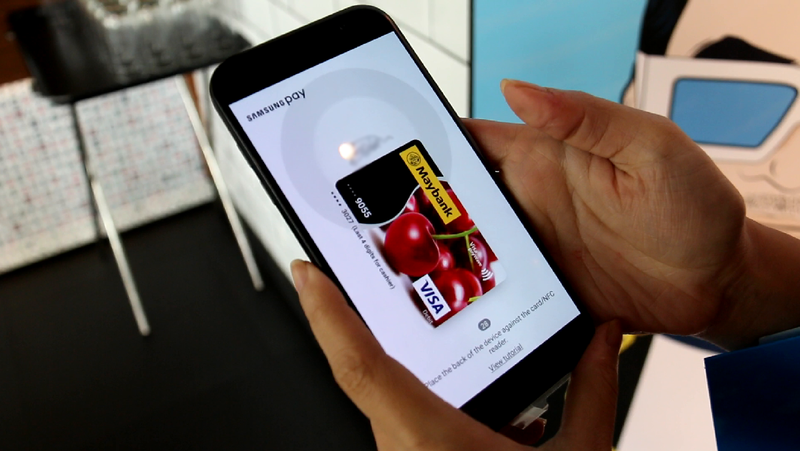 Samsung Pay is one of the pioneer mobile cashless payment methods introduced in Malaysia, and we gave it a try over the weekend. Here’s our breakdown of the feature and why we think it’s going to take off. Getting all of my cards into the Samsung Pay app was as easy as scanning the cards and keying in some additional information. It’s very intuitive and the app will guide you through every step of the way. Once all your cards are in, you’ll be able to use the app to make your payments immediately afterwards. For an extra level of convenience, I chose to register my fingerprints into the app so that I didn’t have to key in a PIN number every time I wanted to pay, but that’s also an option. You can even choose to have both to add another layer of security, if you must. No more carrying a second wallet filled with cards around. You can key in up to 10 cards on Samsung Pay from many of the most-used Mastercard and Visa cards in Malaysia like CIMB, Citibank, Maybank, Standard Chartered and soon, Hong Leong bank. At the time of writing all of these banks support credit, debit or even prepaid card payments via the app. More banks are slated to join in soon. Adding on to that, Samsung Pay includes a loyalty card option that further reduces the number of plastic that you need on your person. The current version of the app supports everything from Bonuslink to B Infinite cards and Sunway Pals, with more coming soon. No more carrying 435,670 cards on you everywhere you go, and no more worries about losing the cards or when your wallet goes missing (though perhaps your phone becomes even more precious). Maybe now you can finally ditch the extra wallet you sometimes carry to hold all your cards. You only have to sign once. Having your cards in your phone saves you from the viral (albeit debunked) card scanner app issue. That’s not the only advantage. Before you can start using your credit or debit cards on Samsung Pay and as a security measure, the app sends a verification code similar to TAC before the card can even be used. 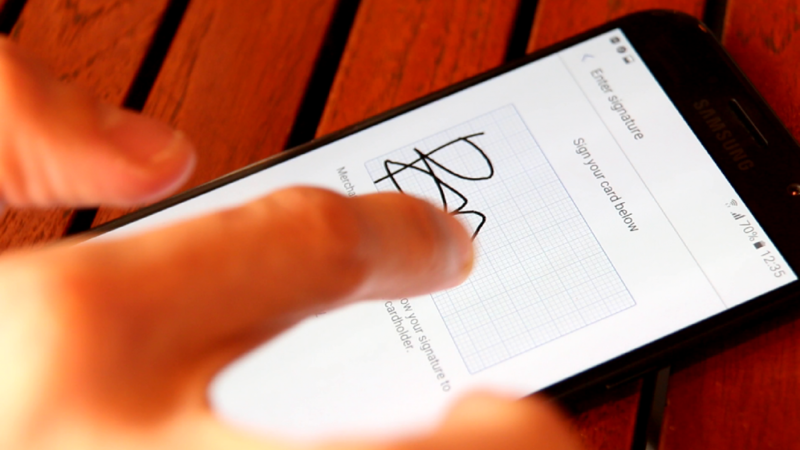 Also, like the usual card payment system, you are required to enter your signature into the app to get the same fraud protection provided by the banks when you’re registering the card. To help reassure the more paranoid, Samsung Pay is a part of the Samsung Knox encryption system, which received the most ‘strong’ ratings of any mobile security platform in the Garner Inc. report Mobile Device Security: A Comparison of Platforms. 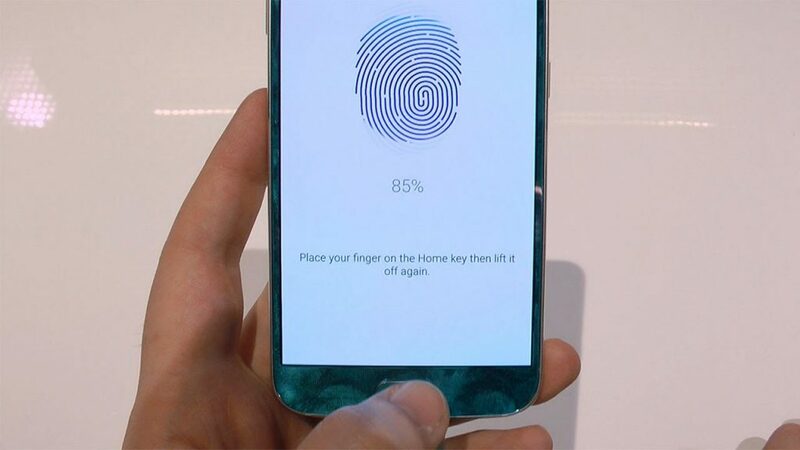 In fact, as mentioned above, the app will ask for either a PIN number, fingerprint verification or both before it will allow you to tap for payments each time. Using a tokenisation system, Samsung Pay also creates a unique randomised set of numbers to be used at each transaction, so your real card number isn’t documented on the POS during purchase. And finally, if your phone is lost or stolen, you have the option to remotely lock or erase your Samsung Pay account. 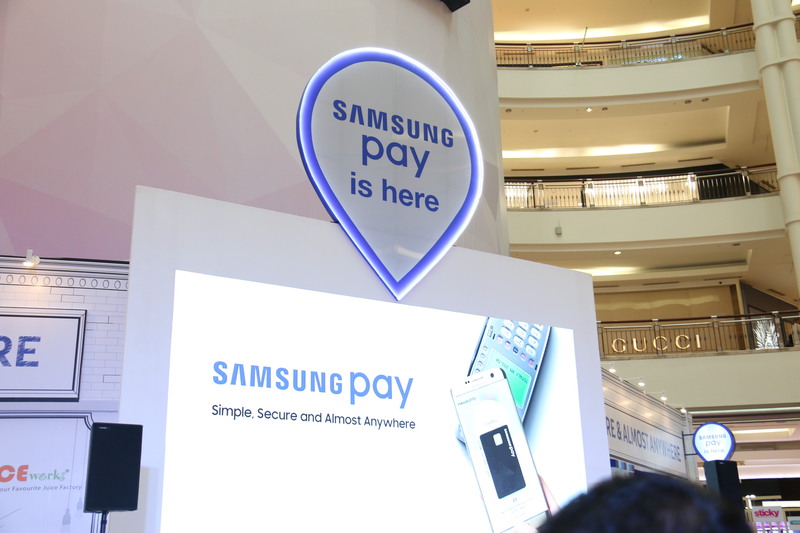 Samsung Pay’s launch in KLCC. Between getting your daily cuppa, catching a movie to even grocery shopping, we spotted the Samsung Pay mobile terminals in a lot of places. 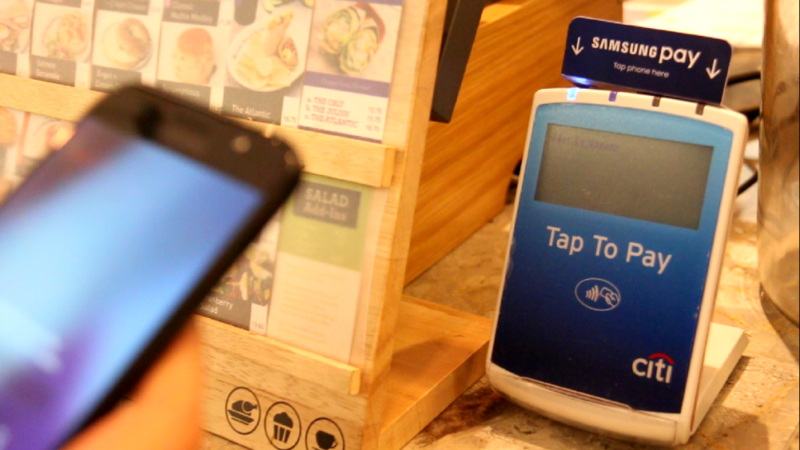 When we wanted to give Samsung Pay a shot at a café (complete with helpful little signs at the POS terminal to tell users that Samsung Pay was available), all we had to do was inform the cashier so that they could initiate the transaction. A terminal that accepts Samsung Pay. It was easy enough for us to find Samsung Pay-friendly stores for everyday purchases as the system is actually compatible with the payment terminals already in place. Adopting Samsung Pay is very easy, particularly if you’re already a Samsung user with the right phone. It’s currently only available on select Samsung phones (Galaxy S7 and S7 edge, S6 edge+, Note5, Galaxy A5 & A7 2017 and 2016 versions). In the end, the cashless movement is simply a move towards more convenience, from streamlining all the cards to reducing the time it takes to hunt for cards in your wallet or bag when you need to make a payment. It’s also nice to know that having the cards in my phone may be more secure than actually physically carrying them around. The only downside is my increased dependence on my mobile, but besides making a power bank even more essential for trips out, it’s an exchange I’m willing to make. For more info, check out the Samsung Pay website here. This article was brought to you by Samsung Pay.